An auto services firm is riding the internet and technologies such as big data to adopt a new business model that integrates used-car and new-car sales businesses, including features such as financing and after-sales services. On Oct 31, Guazi.com, China’s largest used-car dealer, announced its transformation into a car trading company, connecting its used-car business with Maodou.com, its newly developed brand of new-car retail. The integrated services span the entire life cycle of a car. Guazi’s user database and technical services would be used by Maodou.com as well. Called “CARS”, the new company offers its customers a “one-stop” shop for buying, selling and renting new cars and used cars, said Yang Haoyong, CEO of Maodou.com. “On Maodou.com, consumers can choose to rent a new car for up to four years, and then decide whether to buy the car or rent another new car,” he said. The used car will later be put up for sale on Guazi. The new car platform is especially welcome for young consumers, as price is a key factor for them, Yang said. “The down-payment for a new car is now as low as zero to 10 percent. Four years later, if the user wants, he can return the car and get another brand new one,” he said. “The market is now large. But consumers lack confidence in the used-car market in China. Maodou may be a great news for those who prefer a new car but haven’t saved enough money yet. CARS has received funding from global investors such as Capital Today, Bank of China Group Investment Ltd, and Hong Kong-based DST Global. 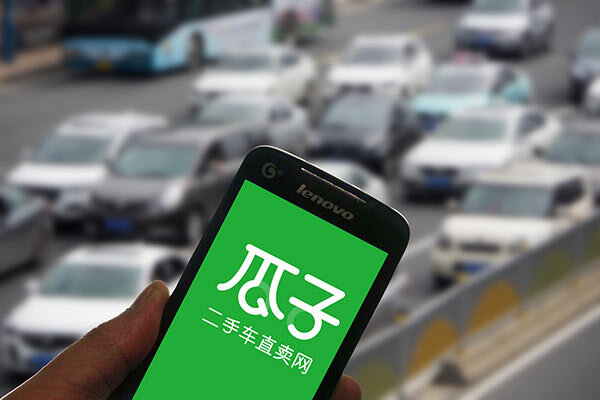 It has also teamed up with more than 10 financial institutions such as Bank of China, China Merchants Bank, Industrial and Commercial Bank of China, and Shanghai Pudong Development Bank, to build common digital platforms to push car sales and rentals. Zhao Xiang, an auto analyst at Beijing-based research firm Analysys, said: “The new-car service is a wise choice. Those selling used cars on Guazi usually tend to buy a new car, so Maodou would be helpful for them.